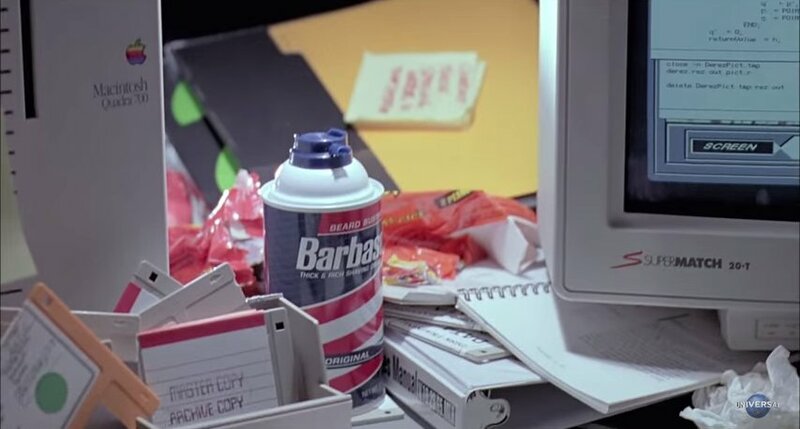 A can of Barbasol shaving cream is one of the most famous props in the 1993 film by Steven Spielberg. 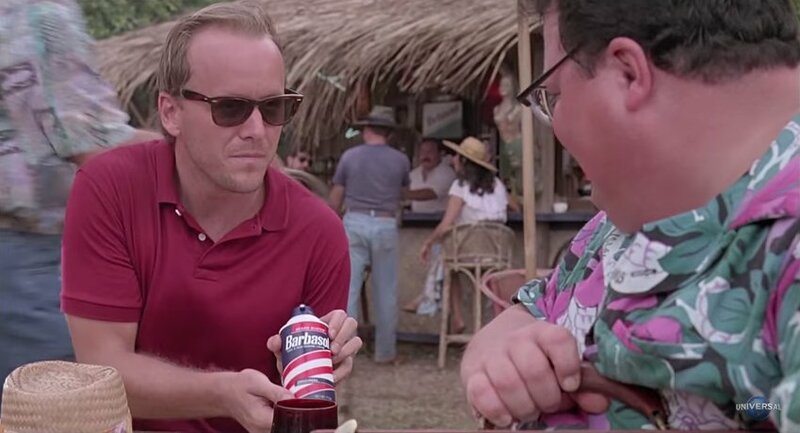 It actually had an important function in the story: Biosyn’s head of research Lewis Dodgson (Cameron Thor) wants to steal dinosaur embryos from InGen, so he contacts Jurassic Park’s computer programmer Dennis Nedry (Wayne Knight) and promises him $1,500,000 if he’s able to deliver what Biosyn wants. 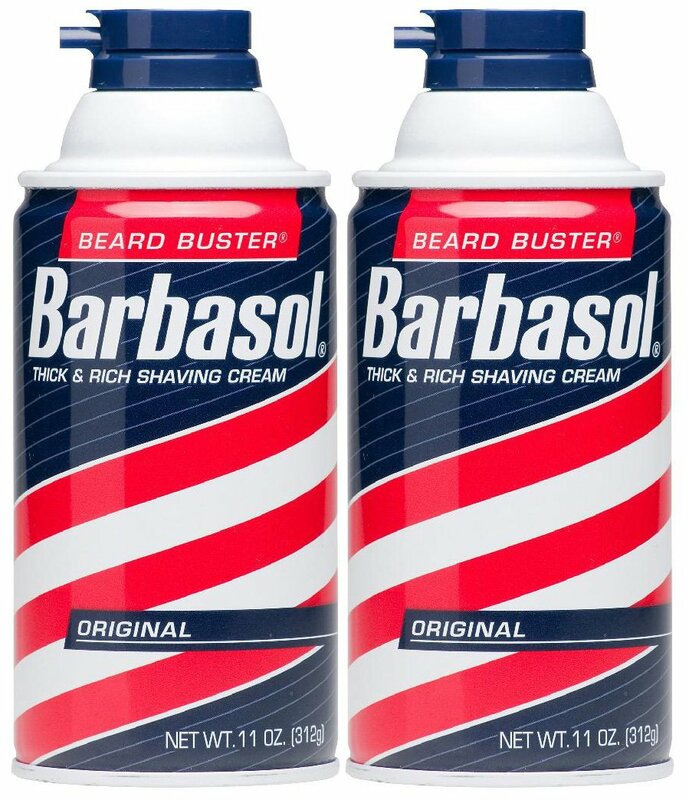 For this purpose, Dodgson gives Nedry a Barbasol can which hides a place to store the embryos. Smuggling the embryos out of the park is not easy, though: after stealing them, Nedry drives out of the park, but he has got a car accident and he’s eaten alive by a Dilophosaurus. 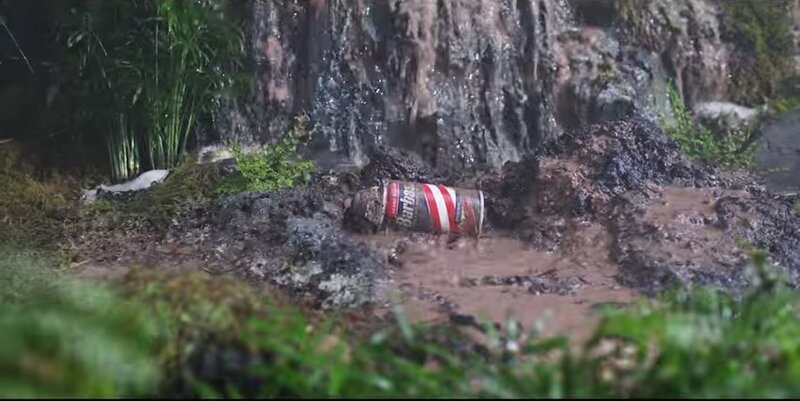 The can rolls in the mud and is lost in the jungle.